Did you ever have a year where you were constantly invited to weddings? This year, it was ridiculous how many weddings we were invited to. We ended up not going to any of them because they were either too far away or they gave us such short notice we couldn't make arrangements in time. Speaking of which, does no one understand wedding etiquette anymore or am I so old-school I'm not with the times? Here's some issues I've encountered in the past year. You let me know if I'm old-school or if this was in the bride/groom's error. 1) Not receiving a thank you card for a substantial cash gift. I did get a FB text message that simply said "Thanks". 2) Receiving a "Save The Date" less than one month before the wedding. 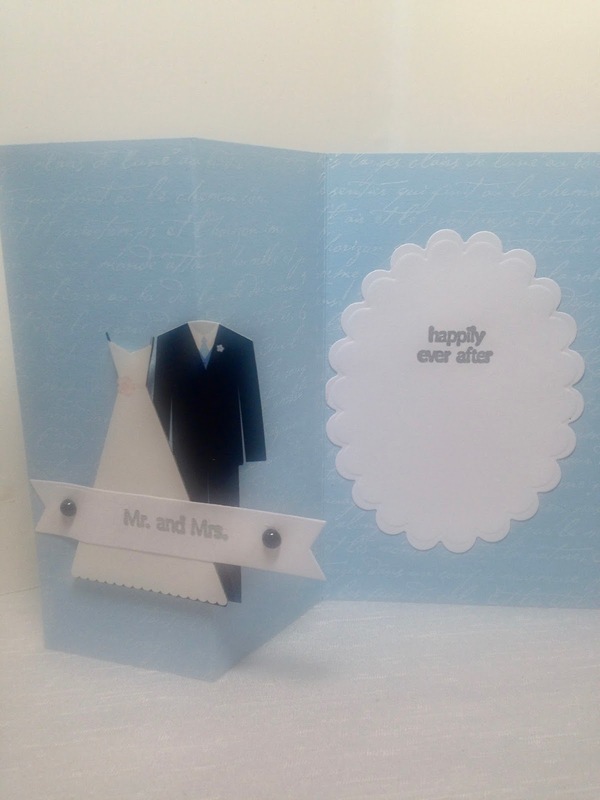 3) Having the wedding invitation simply be a photocopied response card and no formal wedding invitation at all. Perhaps they forgot to include the wedding invitation in the envelope? 4) Putting the grooms name ahead of the brides name on a formal wedding invitation. (That was the weirdest thing I've ever seen). Those are just some of the strange wedding issues I've experienced the past year. Anyone got some of their own they'd like to share? This could be fun! Anyway, onto my card. This is a card I made for the wedding of my husband's cousin. It was on the East Coast so we didn't go. This card has a unique Z- fold. I got the instructions to make this card HERE. I have to admit, I didn't quite understand the instructions on how to construct the sentiment portion of the card, so I created my own. I just placed my sentiment panel on the bride portion of the card and I added some brads. 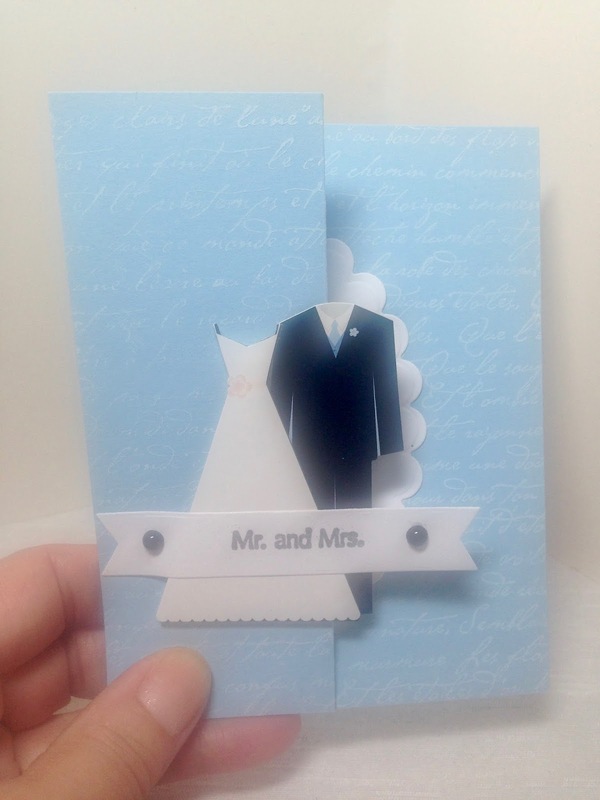 Karalyn used dies to create her bride and groom, but I used stickers! Even though my supplies are different than the original card, the essence is very much the same. I stamped a script in white ink onto the blue card stock. My sentiments are from Inkadinkado. It is hard to write a message inside this type of card, and also to insert a check. I didn't know the couple well so I just wrote "Congratulations" and our name and it was hidden by the bride and groom stickers. I put the check in the back of the card (so hopefully they saw it there. I don't know, I haven't received a "Thank You" card yet.). We don't get invited to as many as you, but the same thing happens here - no thank you for gifts. Very rude, isn't it? Yes, I personally think it's rude, but maybe it's the new thing? I always taught my children to write a thank you note for every gift they ever received. I remember one of the grandmothers telling me "You're the only family who does this". I was so surprised by that! We really need to teach our children the spirit of gratitude. You should move to the South. Thank you cards are not out of style here... people send thank you cards for things like attending their child's baptism... not even sending a gift, just showing up! I never used to think to send thank you cards before moving here, now it just seems like the thing to do. It's nice. That sounds wonderful! Love that Southern Hospitality. I can see sending a thank you card just for showing up. People are so busy these days, and just to take a weekend off to attend a wedding or other life event is difficult for people. I know my husband has to figure out how to work it into his schedule months, if not a full year in advance. And then there are transportation, hotel, travel, and clothing costs not to even mention the cost of the money/gift to the bride and groom...to send a Thank You card is the very least they could do. Your card is beautiful and hopefully the couple received the gift as well! The most recent wedding we went to (this fall) was really strange too, but it was only a reception because the couple got married in Las Vegas. I knew it was going to be a casual get together, but honestly didn't expect it to be that casual. My daughter and I were the only ones (besides a couple of toddlers) that wore dresses and although mine was only a sweater dress, I felt overdressed. At least the bride and groom wore their wedding attire. 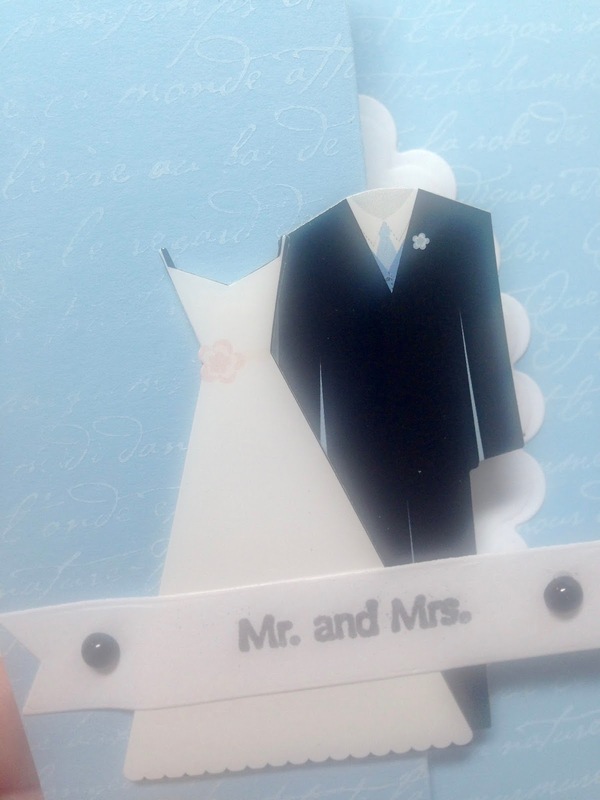 I also found it strange that I couldn't find a fitting wedding card (Yes, I actually bought a card!) Walgreens only had about 5 wedding cards to choose from, and none really spoke to me. I will be looking out for wedding stamp sets! We went to a very casual wedding once too, but it seems most weddings are becoming that way. People don't like to dress up, or they may not want to buy something nice to wear. I'm the opposite, I if I can go to the wedding, I'll buy a brand new dress! 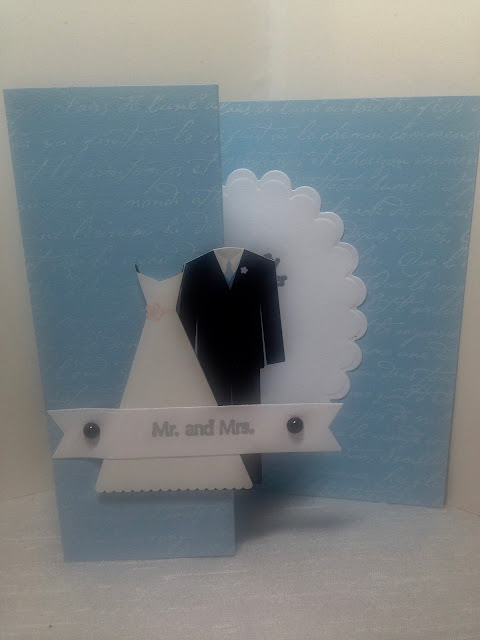 I didn't notice wedding cards being scarce because I always make my own. I have so many stamps, dies, and stickers from Ashley's wedding I'm set for life!